Tracking and rotoscoping are used by many visual effects artists for their projects. One of the most well known is Academy Award winning Mocha Pro 4 developed by Imagineer Systems. Mocha Pro and Mocha Plus have been recently updated to versions 4.0. These new releases feature a slew of new tools to help you work with motion tracking, and rotoscoping. To make it easier for you to understand, first lets explain the difference between Mocha Pro and Mocha Plus. Mocha Pro is the flagship product with advanced modules for Object Removal, 3D tracking, Stabilization and more. It exports to most industry formats including AE, Nuke, Flame, C4D and many more. Mocha Plus (formerly named mocha AE v3) is a stand alone utility for tracking and masking plus extra new features and support for Adobe AE, Premiere Pro, Final Cut, Motion, and Boris FX. I hope that clears things up. Let’s take a look at some of the new features. Workflow changes – Project settings are now independent of clip settings. You still define your initial project settings by the first clip you import, but now you can modify the project settings instead of the clips. Clips can now have multiple streams of footage. Imagineer Systems updated the clip workflow to accommodate handling multiple streams of footage. This is to help with stereo workflow. Also, Imagineer Systems overhauled the frame offset mechanism to make it easier to adjust frame offsets for your project. Stereo Workflow – A major change to mocha’s workflow is being able to choose between working on mono or stereo projects. You can now import stereo views and track, render and export back to stereo. New Nuke 7 Tracker: In the past Mocha only exported either the Corner Pin or the ascii tracking file formats. You can now export directly to the Tracker node instead. Adobe After Effects Transform Data: This version now no longer exports the anchor point data to reduce confusion about how to use the export. If you need to stabilize instead of matching motion, you can use the “invert” checkbox in the export dialog. Nuke RotoPaint [Basic]: The is the same export as we had previously with combined tracking and roto keys into one file. Imagineer Systems have renamed it to make a clear distinction from the other export. New Nuke Roto [Basic]: Imagineer Systems have reintroduced Nuke Roto export with combined tracking and roto keys into one file. This is to support those on versions of Nuke below 6.2. Nuke v6.2+ Roto [Transform & Shape]: The same Nuke 6.2 Roto as we had previously. Imagineer Systems have renamed it to make a clear distinction from the other export. Python Support – Mocha now supports Python in Mocha Pro via the mocha module. Python functionality has its own separate documentation. You can find this in the help menu. On Windows, Python installs as a separate bundle in the Mocha Pro installer. Make sure to select it when installing on Windows systems. Keyboard Shortcut Customisation – You can now customise keyboard shortcuts for almost every tool, action and menu item in Mocha v4. Mocha Pro is designed to be a tracking tool that does away with traditional point trackers and instead uses a proprietary Planar Tracking technology. What does this mean? 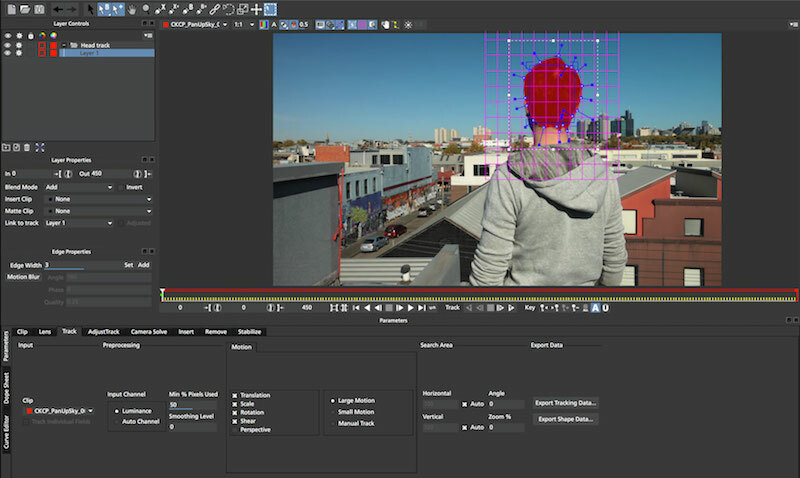 The software allows users to draw spline shapes onto their footage to define surfaces.The larger pixels, and data allows the tracker to follow more accurately and easily. This results in more streamline user experience and faster workflow. Mocha Pro user interface is simplistic and easy to navigate. If you have worked on any roto/tracking tools before or in any NLE, then you should feel at home setting up your preferences. Importingthe footage is as easy as any other program, and is not complicated at all. Once inside the standard a layout is there to greet you. The user interface provides you with windows for just about everything. There you can see your viewer, layer controls, various parameters that include clip information, lens, adjust track, camera solve, insert , remove, and stabilize. There is just about everything you would need for your project and more. To begin putting Mocha through testing, I began with one of my favourite moving shots. This allows me to fully see how fast and accurate any particular tracking system works. Mocha Pro’s splines can be easily used to draw a shape around the object was incredibly easy. In just a few steps, I was able to quickly set the parameters that I required for tracking. Mocha Pro then took over and was able to accurately track my footage in ridiculous speed. 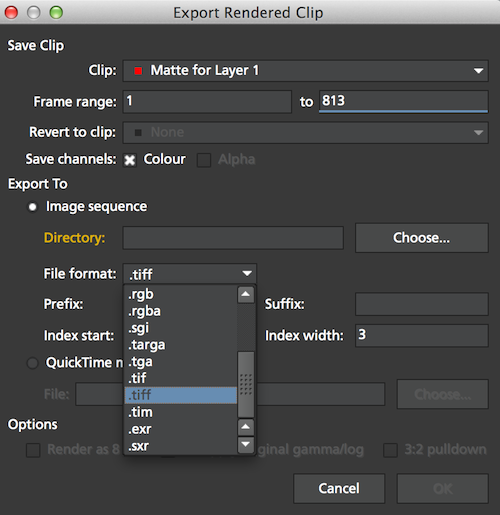 Exporting footage out from Mocha provides you with a few options. If your project requires a image sequence for working with Photoshop then there are plenty of formats from jpegs to tiff. If you simply require a QuickTime mov file then that option is available for you as well. Mocha was able to render out my footage relatively quickly with no hiccups. Mocha Pro also has the ability to export track data to use in your workflow. This feature proves invaluable with working with text or roto. Imagineer Systems has created an innovative tools, and updated Mocha Pro and Plus for even more efficiency and streamline workflows. Anyone looking for a program that will efficiently track or root your footage really should take a look at Mocha. Imagineer System has even provided you with some footage to download and use to test drive Mocha Pro fully. I also suggests taking a look at their online video tutorials like this one to help guide on to the right path. 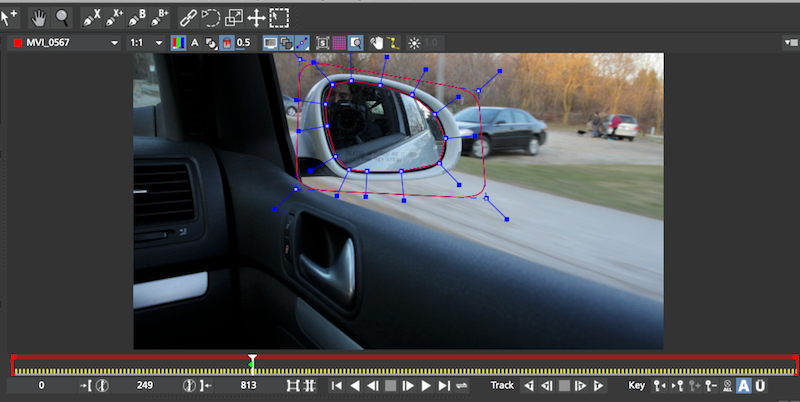 mocha Pro 4: Basics of Stereo 3D Tracking Part 2 from Imagineer Systems on Vimeo. Windows: Windows 8, Windows 7, Windows XP Professional SP2 or higher, Windows Vista Business or Ultimate, on x64. Linux: Red Hat Enterprise Linux 5, CentOS 5 or a compatible Linux distribution on x86_64.